Editor’s note: This commentary is by Lena Connolly, a sophomore at the University of Vermont and a lifelong Burlington resident. My name is Lena Connolly. 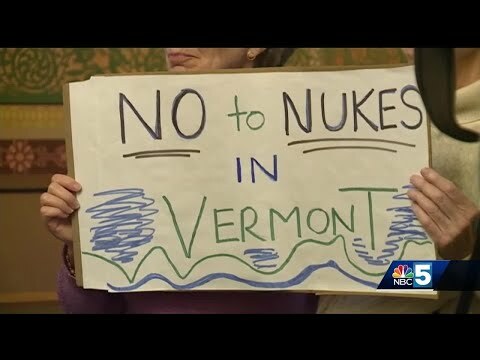 I am a sophomore at the University of Vermont, and I have lived in Burlington for my entire life. Surrounded by a loving and compassionate community, unbeatable natural beauty, and numerous activities both in the city and the outdoors, I am sure you know that Burlington is a phenomenal place to live. However, like any place, Burlington is not perfect. My family’s house lies under the flight path of the F-16 fighter jets, based in Burlington since 1986. I remember one day very distinctly, when I was five years old: My sister and I were playing in the backyard of my family’s home on a cloudless day in spring. The usual sounds of a Saturday morning echoed through the neighborhood: The warm breeze blowing through the trees, dogs barking, neighbors conversing, children laughing, and just like every other Saturday morning, the locally stationed F-16 fighter jets taking off for their training drills directly above my house. The noises of the neighborhood were drowned out by the overbearing roar of the planes. The dogs barked louder, the houses shook, neighbors ceased conversation, my sister and I ran inside, covering our ears and crying. This is just one example from a lifetime of living in the shadow of the F-16s. They have affected my summer job at the Intervale Community Farm, where the noise from the jets terminates countless conversations between my co-workers and I. They have affected the many times I have sought peaceful refuge in Centennial Woods, where the noise of the F-16s pierces the stillness of the forest, disrupting countless animals and ecosystems. They have affected my father, who is highly sensitive to loud noises and whose stress levels rise every time the F-16s fly overhead. They have affected my mother, who supports my family by teaching music lessons to children at our home; the F-16s force her to interrupt these lessons. Now, it is 2018, I am 20 years old, and the F-16s have the same looming presence in Burlington that they have had my entire life. It baffles me that the city is currently trying to bring to our town F-35 fighter jets that are four times louder, have a higher safety risk, will affect cognitive development in children and the mental and physical health of those within the noise zone, and make thousands of homes uninhabitable, forcing eviction for countless locals.